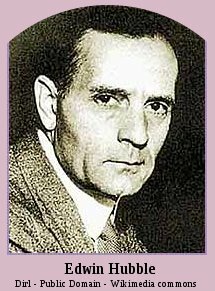 The Absolute truth had the attention of American Astronomer Edwin Hubble (1889-1953) who was already well known for his settling of the long running dispute whether Nebulae were part of the Milky Way or Galaxies in their own right. Hubble provided observable evidence of an expanding universe when he capably proved the Doppler effect on light over distance. As light moves further away from any observer it is stretched - caused by an expanding space-time - Becoming redder as it's frequency is diminished, and it's wavelength is increased. This effect is known as Redshift and can be employed to deduce the distance of astral bodies. Hubble noted that Galaxies appeared to be moving away from Earth, and each other, at a speed proportional to their distance. As Space expanded, Galaxies traveled increasingly further over a given time span. 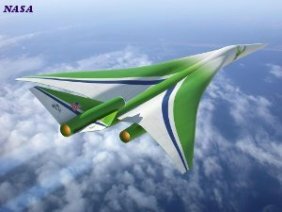 Giving the appearance of traveling faster. This attentive observation is now known as Hubble's Law. Gravitational attraction within the Galaxies prevent the Galaxies themselves from expanding, thus maintaining their status quo. A quarter century after Lemaître's Primeval Atom Hypothesis - he also suggested an expanding Universe - three prominent Scientists proposed a New Theory. Fred Hoyle, (1915-2001) along with two friends and colleagues, Hermann Bondi, (1919-2005) and Thomas Gold, (1920-2004) were protagonists of the Steady State model of Universe. Gold conceived the original idea. All three men believed that the Universe was expanding, but the Big Bang was not the absolute truth. The 'Big Bang' is a label coined by Fred Hoyle and was intended to be derogatory. This throwaway line though, had such wide public appeal that it superseded 'Dynamic Evolving Model', the original designate imposed on one of Humanities greatest searches for Truth. Fred, he of According To Hoyle, celebrity, must have been suitably pleased. The Steady State Theory was founded on the Universe being Eternal, while taking into account Edwin Hubble's evidence that it was indeed expanding. To support the Steady State Theory, new matter needed to be constantly created. Not believing that all matter in the Cosmos was created simultaneously in the Big Bang, Hoyle proposed what he termed a Creation Field. Here in this field, which supposedly encompasses the entire Universe, fresh matter is continuously being produced. Creating new galaxies throughout the Cosmos and maintaining material density as the Universe expands. While the Steady State fitted in with many of the known observations, - as did the BB - it is now largely discredited, put to sleep by the apperceptive discovery of Cosmic Microwave Background Radiation. Fred did not believe that the Big Bang, Darwinian Evolution, or that life originated from inorganic matter as proposed by Pierre Teilhard de Chardin was the absolute truth. Where Fred shone though in his beliefs, no pun intended, was with his quite brilliant work in Nucleosynthesis in the Stars. Where Nature makes Her building blocks. Could Stars be Fred's creation field? Analyzing the processes of how Stars are the crucibles that manufacture all the Elements, he discovered the majority were produced in living stars, and the remainder, the heaviest, were produced in Supernovas. Ironically, Fred Hoyle found himself vindicating Pierre Teilhard de Chardin's perception of particles to intelligence. Although Albert Einstein's General Theory of Relativity provided the basis of both models of the Universe, he “definitely disliked” the hazy suggestion of Continuous Creation, preferring a beginning, but rejecting Lemaître Primeval Atom hypothesis which offered one. Einstein later revised his point of view and accepted the Big Bang model of an expanding and contracting Universe. A meeting with Edwin Hubble, at Mount Wilson Observatory in Pasadena during 1930, examining and discussing Hubble's findings, being shown raw data, and then witnessing, first hand, near and distant galaxies through the lens of the then most powerful telescope in the World, enabled a change of mind. Following his visit with Edwin Hubble, Einstein publicly withdrew his support for his Cosmological Constant and a static Universe. Albert conceded that his cosmological constant was his biggest mistake, that Lemaître and Friedmann were quite correct, and declared his support for the Big Bang Theory. 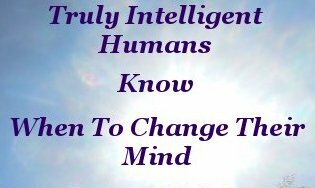 Truly intelligent Human Beings know when a mind change is in order. Albert Einstein was a truly intelligent Human Being. In between these two prominent theories touched on here, are squeezed a multitude of other theories spawned by General Relativity. A sad conclusion indeed, after a lifetime of Truth Seeking. Albert's comment moved me to shed a tear. Every voice needs to be heard, and understood. Often, good ideas are uncovered by taking on board bad ideas. Imagine, even for a moment, just how much sooner would new knowledge be revealed to us if all the World's Great Thinkers worked together in total Harmony. Instead of adopting pet theories and attempting to foist those theories on one another. 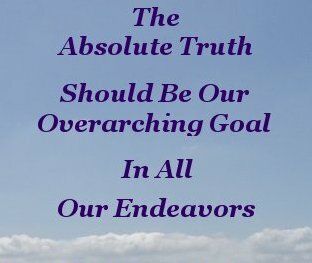 The Absolute Truth should be every person's overarching goal in all our endeavors. Unless we purposely gain an understanding that new knowledge enables us to change our mind, we will go to our deathbeds with our, often distorted, views still firmly clutched to our breasts. The paradox here is that we must seek that very understanding of our own volition. It cannot be imparted by another without our permission or desire to learn. If we are serious about finding Truth, then tools like the Hubble Space Telescope, Cassini-Huygens type Deep Space Missions, Space Probes such as Kepler, and the Earth bound Large Hadron Collider . 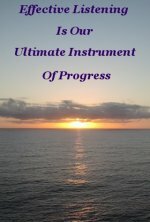 . .
Powered by competent, harmonious, and intuitive, employment of Spiritual Intelligence . . .
Offer Humanity the most promising path and hope, to uncover the absolute truth encompassing the mysteries of the beginning, everything in between, and ultimate fate of the Cosmos. And upon that journey, sincerely and assuredly discovering ourselves.